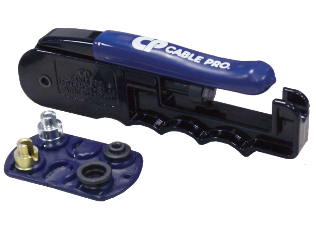 A high quality, easy to use tool designed to deliver reliable installation of 360º compression connectors including the Snap-N-Seal® ProSNS® family of connectors. ** IEC Tip for European IEC connectors sold separtely or in kit, only. Tip is not included with SLM tool.